The Marcy MWB7502 Adjustable Height Barbell Bench is an outstanding all purpose, mid-width bench capable of accommodating both standard and Olympic weight plates and barbells. 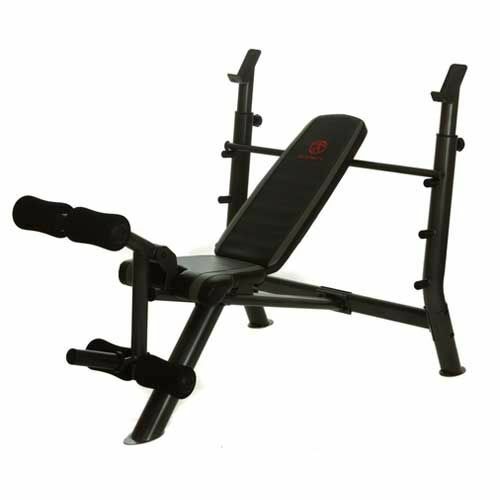 With 2" and 3" 14 gauge steel frame and durable powder coated finish, the MWB5702 is certain to stand up to the sternest of tests. 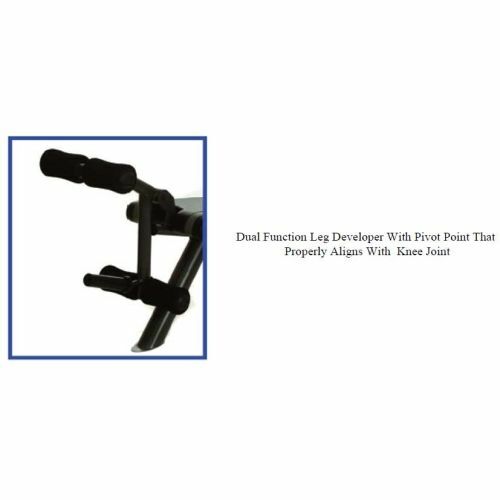 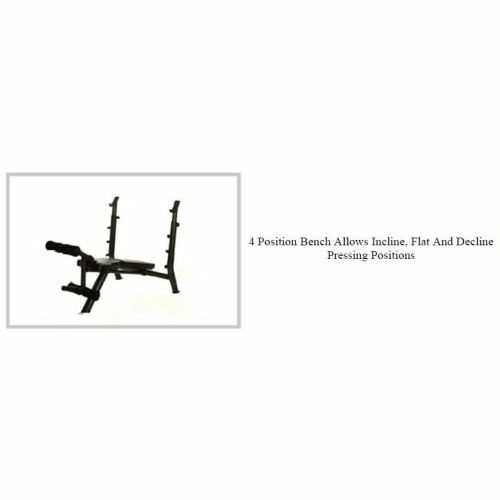 Featuring adjustable preacher curl/bicep pad, dual function leg developer with pivot point that aligns with knee joints, adjustable four position back pad provides incline, decline and flat positions, contoured foam roller pads and adjustable bar catches this bench provides a comprehensive set of features suitable for all levels of weight workout experience. 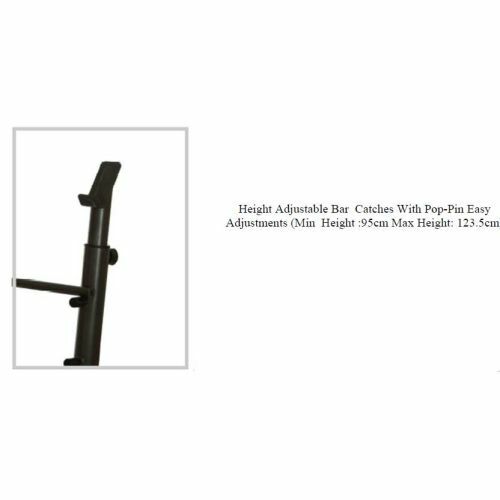 for submitting product review about Marcy MWB7502 Adjustable Height Barbell Bench.